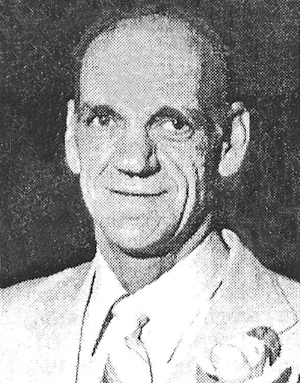 Obituary – Hodge, William Edward « Perry High School Alumni Association, Inc.
﻿Football 45-48, Wrestling 47-48, Baseball 46-47. ﻿Bill Hodge, 68, former Perry Fire Chief, died at 4:30 a.m. Saturday at Baptist Medical Center in Oklahoma City. Funeral will be at 2 p.m. Tuesday at the First Presbyterian Church with Rev. Tim Boggess officiating. Burial will be in Grace Hill cemetery under direction of Brown Funeral Home. Memorials may be made to the American Cancer Society. 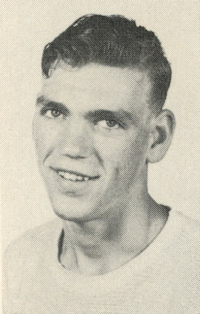 Hodge was the son of Bill and Hazel Hodge and was born in Guthrie on Sept. 19, 1930. He attended New Hope rural school and was a graduate of Perry High School. On June, 28, 1953, he and Shirley Curran were married in Perry. Hodge was a fireman for 27 years and had served as fire chief from 1973-79. He owned Western Auto from 1979-90 and Bill’s Repair Service from 1990-98. He was a member of the Perry Lions Club. Hodge was preceded in death by his parents. In addition to his wife, survivors include a son and daughter-in-law, Doug and Wanda Hodge, Sterling, VA; four daughters and two sons-in-law, Cindy and Drew Norlin, Norman, Denise Hodge and Becky Hodge, both of Oklahoma City, and Joan and Jerry Hayes, Perry; 11 grandchildren, one sister, Louise Lovekamp, Perry, and two brothers, Dan Hodge, Perry, and Jack Hodge, Moore.